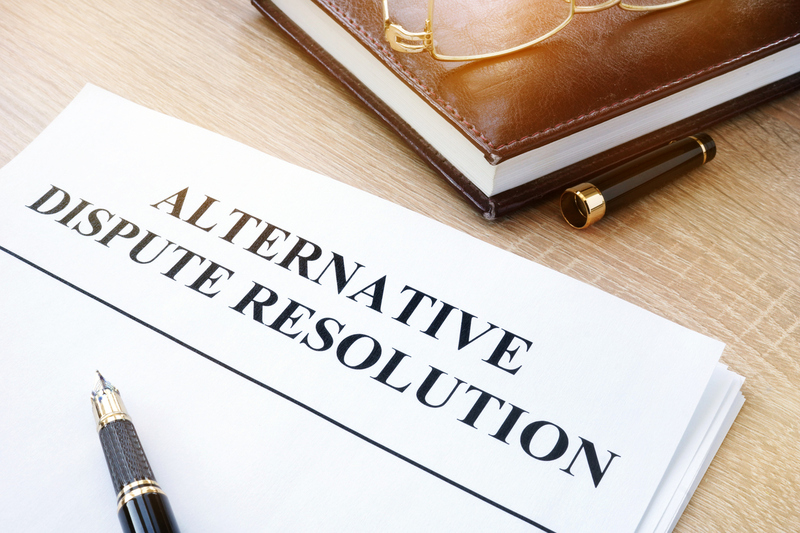 The District Court of Maryland has a centralized Alternative Dispute Resolution (ADR) Office that coordinates civil ADR programs at most District Court locations around the State. The ADR Office is responsible for administering civil ADR programs, including, but not limited to: recruiting practitioners; reviewing volunteer applications; training, orienting, and scheduling ADR practitioners; collecting and maintaining statistical data about the District Court ADR programs; and, maintaining a roster of qualified ADR practitioners to provide mediation, settlement conferences, or both. Access to ADR is available pre-file, pre-trial and on the day of trial. Large and small claims cases including contracts, torts, replevin, detinue, failure to pay rent, rent escrow, breach of lease, wrongful detainer, tenant holding over, and select peace order cases may be appropriate and referred to ADR. Of the 20 District Court locations throughout Maryland, there are 16 day of trial ADR programs, 13 pre-trial ADR programs, as well as specialty ADR and mediation programs for peace order, failure to pay rent and municipal infraction dockets. There is no cost to litigants to participate in a District Court ADR program. All processes are conducted by volunteer mediators and settlement conference attorneys. Volunteer Day of Trial ADR practitioners staff 42 dockets a week, and an additional 7 dockets a month in 20 of 34 District Court locations. Roughly 1,600 cases are referred to ADR in Day of Trial programs annually and volunteer ADR practitioners help to resolve between 50 percent to 60 percent of cases participating in ADR. The ADR Office regularly provides information about mediation to callers interested in resolving a dispute prior to filing suit in the District Court, and makes referrals to local community mediation centers and the directory of private mediators on the Maryland Program for Mediator Excellence website. Parties, and their attorneys (if applicable), meet with a mediator or co-mediator pair before the trial date. The District Court ADR Office partners with 12 local community mediation centers and the mediation clinic at Maryland Carey Law. While mediation continues to be the primary ADR process offered to litigants, parties, and their attorneys prior to trial, the judge may also request that the case participate in a settlement conference. The District Court ADR Office will recruit a settlement conference attorney from the court’s Day of Trial ADR Program practitioner roster to meet with the parties prior to the trial date. The ADR Office coordinates the invitation, communication, and scheduling of all non-judicial pre-trial settlement conferences. The ADR process available (mediation or settlement conference) at a particular court location is dependent on the qualifications of the ADR practitioner present to receive a case referral that day. Cases may use ADR on the day of trial by request of the parties and/or their attorneys, or the judge may request, refer, or order a case to ADR from the bench. One or more specialty docket ADR programs operate in three District Court locations: Baltimore City, Ellicott City, and Rockville. Specialty docket ADR programs include: Peace Order Mediation, Municipal Infraction Mediation, and Failure to Pay Rent ADR Programs. These programs are offered on the trial or hearing date. The docket is dedicated to a particular case type and the ADR practitioner is required (by the ADR Office) to have additional training and experience to conduct ADR in these cases. In the Peace Order cases, mediation is the only ADR process available. Cases are pre-screened by an ADR Office staff member to determine appropriateness for referral to mediation. These cases are identified by the staff member for the judge who has the ultimate authority to determine if a peace order case will go to mediation. Peace orders may be referred to mediation prior to, or at, the temporary or final hearing, and the mediation takes place at the courthouse. Upon referral, the mediator conducts an immediate, confidential screening conversation with each party as a third layer of assessment to determine if the case is appropriate for mediation. Protective order cases, cases with concurrent criminal charges, or cases involving domestic or other allegations of violence are not appropriate for ADR. In the Municipal Infraction Mediation Program, the County Attorney screens and selects cases based on a predetermined set of criteria; typically dog nuisance-related cases. Cases “flagged” by the County Attorney for mediation are referred on the hearing date. In the Failure to Pay Rent ADR Program, the ADR practitioner receives a case by request of the parties, or by a judge referral or order to ADR. The ADR practitioner is trained to listen for conditions that pose a substantial risk to the life, health or safety of the tenants, and to return the case to the courtroom if these dangerous conditions are being negotiated in exchange for a reduction of the rent. Specialty docket ADR programs continue to develop through pilot initiatives, and current programs will be expanding into new jurisdictions in 2019 to meet the unique needs of the citizens and of the local court. None of this is possible without the Maryland Judiciary’s long-term commitment to building ADR programs in Maryland. An independent statewide research impact study commissioned by the Administrative Office of the Courts that compared attitudes and changes in attitudes of participants who went through ADR and those that went through the standard court process is one example of why. In particular, participants who reached a negotiated agreement in ADR were more likely to be satisfied with the judicial system than those who reached an agreement on their own (without ADR). And in the three to six months following ADR, ADR participants reported an improved relationship and attitude toward the other participant and satisfaction with the judicial system, and these findings held true even in cases that did not reach agreement. For more information about these and other results, the full report is available at http://mdcourts.gov/courtoperations/adrprojects.html. Maureen Denihan serves as the Director of the ADR Office, and Andrew Fontanella is the Regional ADR Programs Director for the Eastern Shore of Maryland.